We are excited to be hosting our annual Pack 731 Raingutter Regatta and Pack Picnic on Sunday, August 26th, 1:00PM to 3:00PM at the Bell Branch Park Pavilion (near the baseball fields). This family friendly event is open to all Pack 731 Scouting families and new families that would like to introduce their son(s) and daughter(s) to Scouting. New families interested in joining Cub Scouts get to meet our pack, participate in our fun afternoon, ask questions and hopefully join! 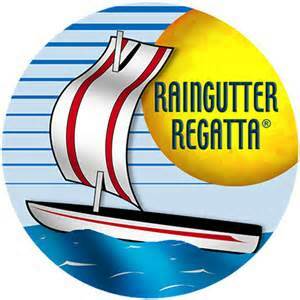 We will have some fun games to play as well as our traditional Raingutter Regatta (see below for details). Pack leadership could use some help setting up too, so please come as early as 12:30PM to assist. Each den needs to bring at least 2 gallons of clean tap water, to help fill the raingutters for the races. Den leaders, please coordinate this with your respective den to ensure we have an adequate supply. The Raingutter Regatta is a racing event that is the sailboat equivalent of the pinewood derby. Within the basic design rules, Scouts are free to paint and decorate their catamaran as they choose. The boats are raced in a standard rain gutter that is ten feet long, placed on a table, and filled to the top with water. The boats are propelled by blowing on the sail, either directly or through a drinking straw; the boat cannot be touched with hands or the straw. The first boat to reach the end of the gutter is the winner. Heats will be grouped by ranks, then final elimination rounds with the overall winners from each heat. We suggest that each scout family bring to the event, their own tools (e.g. screwdriver, file, sandpaper, hacksaw, etc.) and paint/markers. The Pack will provide a kit for each Scout and any school-age boy or girl interested in joining our pack. There will a separate track for non-school age children to participate. This event counts toward the August requirement for the National Summertime Award pin.